Le Creuset is a perfect example of a product you don't know you need until you buy one. It might look like a standard roasting pan, but fans of the cult French brand know that the cast-iron cookware does so much more. According to Kitchn, the Dutch oven product is perfect for braising meat, slow-cooking stew, sautéing vegetables, roasting chicken, and even making bread. If you've been thinking about investing in Le Creuset cookware all winter, now's the time: Williams Sonoma is having a massive sale, with prices slashed to as low as $20. 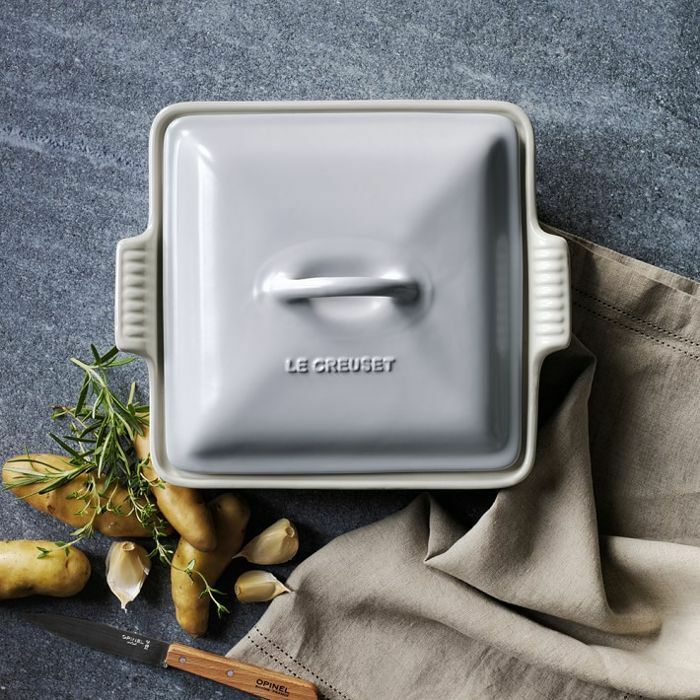 Perhaps the best bargain is the Heritage Stoneware Shallow Square Covered Baker, usually $115, and now $50. Elle Decor points out that it's perfect for making mac and cheese or brownies—just what we need to survive the last of the frosty weather. Still not convinced? 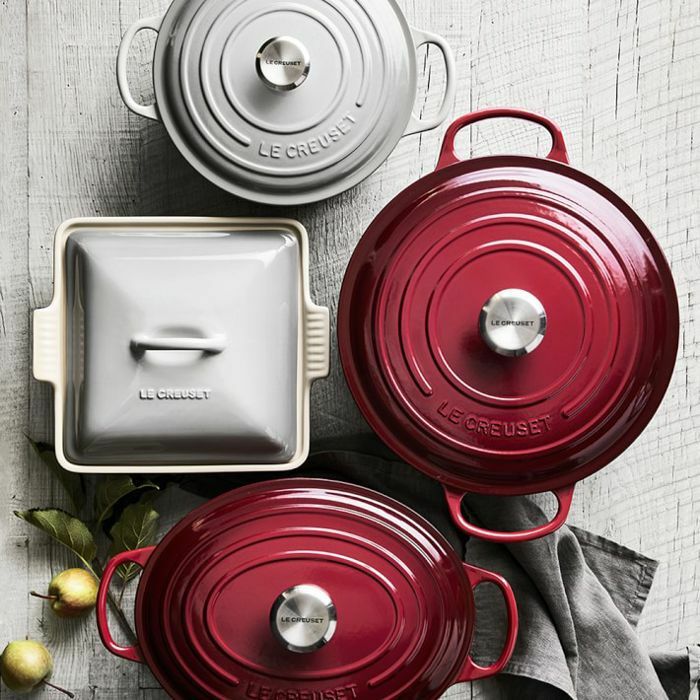 Le Creuset products have a lifetime warranty. We'll see you at checkout.